In Bloomfield, New Jersey DJ Marcus Jeter, 30, was charged with eluding police, assault and other crimes based on the sworn reports of two Bloomfield police officers. The officers accused him of fleeing a scene and then assaulting them after they were called to his home with his girlfriend. It was all a lie but multiple officers joined in framing Jeter. The problem was a police dash came video that prosecutors never bothered to review despite his denials. It was once again the media that did the due diligence and presented the evidence to the prosecutors who dropped the charges. Prosecutors however claim that the fault rests with the police. Jeter said that he thought he was free to go. However, he was soon pulled over immediately but stayed in the car on the New Jersey Turnpike. One tape shows a second police car coming from the opposite direction, crossing the median into ongoing traffic, and then striking Jeter’s car. The collision is not mentioned in any of the police reports. He said that they had their guns out. He is now free thanks to those dashcam tapes. It’s the video that prosecutors say they never saw when the pursued criminal charges against 30 year-old Marcus Jeter . In the video, his hands were in the air. He was charged with eluding police, resisting arrest and assault. One officer in the video can be seen throwing repeated punches. You can clearly see Jeter pulling over and stopping on the side of the Garden State parkway. The cops pull out guns. He said that officers began hitting him while telling him not to resist arrest. The beating continues while he was in handcuffs. The videotape confirms his story and shows him not resisting. Notably, the prosecutors did not review the evidence even though they were trying to put him away for five years. More importantly, the Bloomfield Police Department’s Internal Affairs fully investigated that complaint and cleared all of the officers. Two Bloomfield police officers are now indicted for falsifying reports and one of them is charged with assault. A third has pleaded guilty to tampering. A third pleaded guilty early on to tampering. However, as usual, there is no word on discipline for the prosecutors or the investigators who either failed to review the tapes or failed to turn them over. We not only have three officers involved but an Internal Affairs investigation that cleared the officers. I cannot imagine what they reviewed if not the dash cam video. If they reviewed it, there is the added element of collusion in this coverup to frame an innocent man. While the prosecutors are blaming the police, it is also unclear why a prosecutor doing due diligence would not demand and review the videos. The question is whether that demand was made by the prosecutor and whether the police lied or refused to turn over the evidence. That is a lot of questions to be answered before this matter is closed. However, given the poor record of police and prosecutors, a full record may not developed without a lawsuit and discovery. On September 11, 2013, I was sexually assaulted by a police officer named Charles Kryzsiak A.K.A ( Charlie Kryzsiak )who works for the East Rutherford Police department. I was racially discriminated against as a drug user and arrested after I was identified. I attempted to file criminal charges on September 18, 2013 and was denied by Captain Anthony Ciravolo. I called the day after to confirm if I can file charges and I was denied by deputy Edward Bury. I was told to contact the prosecutor before I can even file charges. I eventually filed a charge after coming in again to the police station and speaking directly to the clerk when they were open. The prosecutor dropped the felony charge during the case and it was mismanaged. I believe the East Rutherford Police department conducted police misconduct by trying to cover up the case and not allowing the proper criminal charges to be filed on the appropriate dates. The prosecutor dropped the charge even after a superior court judge found the officer guilty of a felony crime of “Sexual Criminal Contact.” I had my testicles grabbed, squeezed, and pulled. No one who is an american citizen should have to suffer so much by people who are employed by the state of New Jersey. I will continue to spread the name of Charles Kryzsiak across to the community for many years to come so no one else’s son or daughter is a victim of police abuse. I have reported officer Charles Kryzsiak and the department of East Rutherford to the FBI / CIA . No one should be a victim of police abuse. I suggest you do make public accusations anonymously. The law recognizes the right of the accused to face his accuser. Anonymous accusations have little force. Sorry for the typo. I meant you should NOT make public accusations anonymously. This is yet another erosion in the trust of those who are supposed to protect and serve. Yes it is a deadly job, but actions of framing someone, lies and false imprisonment for whatever amount of time puts a shadow over the good and brings prior arrests and convictions into heavy question. This is one of the reasons multiple states have fought against photographers rights to film police at work, not for privacy sakes because in public, no citizen has any reasonable expectation to it except in the privacy of home and bathrooms, but because on that off chance you catch them doing their job maliciously or incorrectly there is no evidence against their word, yet they have their surveillance, their video’s to use to their ends. It’s only when the public can see these cams brought to light, or a passerby’s/neighbor’s video that a full picture tells who’s truly innocent or guilty, yet how many guilty officers face the full weight of the law (versus a slap on the hand, retirement with some benefits, or a desk job but still a job within the force). Ah, they are only human. Disgraceful behavior. Those cops need to be fired and do time. We pay cops salaries, and then we get to pay AGAIN when they act like animals and beat up innocent people. Hmmmmmm…. Here’s an idea! Cops need to start paying insurance, just like doctors. Then, when the rogue cops commit these types of crimes, the insurance company can pay the settlement. Why should WE, the citizens of America, have to pay for the crimes of these police officers who are supposed to be protecting us? Oh my…. The reporters should be prosecuted for prying….. Only kidding…. I’m thinking a heck of a 1983 action could be a windfall for this man……the odds are better than a lottery…. The prosecutor may not have actually known about the dashcam video, but he should have wondered whether there was video. How hard would it have been for him to simply ask the question? The answer is that he probably didn’t want to know. If a private citizen is arrested for something he didn’t know was illegal, the retort from the prosecutor would be that ignorance of the law is no excuse. It seems that private citizens are expected to “wonder” whether an act is illegal but prosecutors don’t have to “wonder” about anything. The usual charges used to falsely arrest, beat, and charge a citizen should be the red flags to the public, the internal affairs investigators, and the prosecutors: Attempting to flee, assault on an officer, resisting arrest, and sometimes an attempt to take the officer’s weapon. Indeed, all these groups except the public know that these are the red flags but rather use them as signals to each other to cover up the actions of the officers perpetrating the criminal acts upon the citizen. 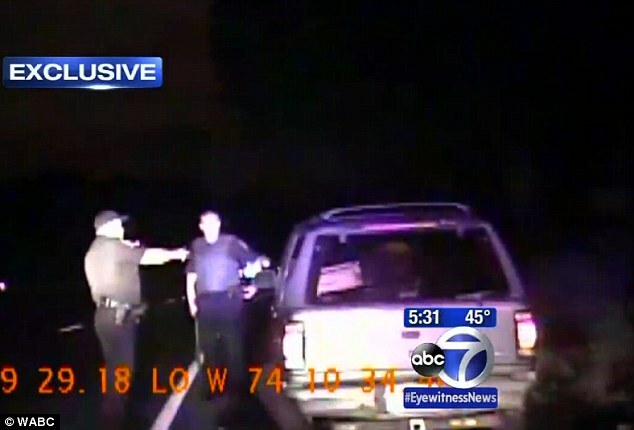 In this particular case, I’m stunned that the officers were actually charged after they were caught by the dashcam. My ezperience is that nothing happens to the officers. If the citizen sues, which has been designed to be very difficult to do, and the officers have bungled the coverup to the point where they get discovered, the citizen is pressured to settle the case and the incident will therefore not become part if the police officers’s personnel record. An dust try to continue living, traveling, or working in the same area where police officers have done this to you! Make no mistake, the “training,””rules,” and laws are designed to protect the police so that they can get away with doing this. And it can happen to anyone…even you.